The following post is by Hilary Smith, author of “Welcome to the Jungle: Everything You Ever Wanted to Know About Bipolar But Were Too Freaked Out to Ask” (Conari Press, 2010) as well as a cool blog to go with it, Welcome to the Jungle. We’ve all heard about “mood foods” that can promote wellness for people with bipolar and depression–fish oil for brain health, oatmeal for stable blood sugar, chocolate for, well, chocolateness. But it’s also important to think about how we eat. How we eat can have just as big an impact on our mood as what we eat, yet it often gets neglected in conversations about bipolar and food. 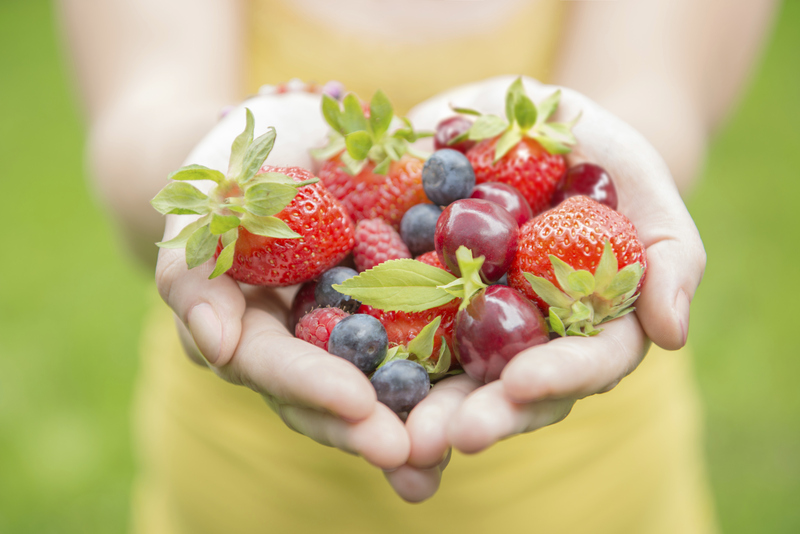 Here are some tips for maintaining a healthy mood through mindful eating practices. 1. Make eating an art. How you eat is sometimes a reflection of how you feel. Are you rushed? Distracted? Frustrated? It’ll show by the way you act around food. Similarly, the way you eat can help you change how you feel. When you slow down, prepare yourself a beautiful meal, and savor every bite, you might find yourself feeling calmer, happier, and less stressed out. Mindfulness about the way you eat can be a good starting place for learning mindfulness in other areas of your life, which can go a long way in alleviating the symptoms of depression and bipolar. Are your meds supposed to be taken with food or on an empty stomach? Is it OK to drink grapefruit juice while you’re taking them? Have you checked lately? Some foods can interact with your meds in funny ways, or even stop them from working. For example, if you’re taking lithium, it’s important to watch your sodium intake, and many psychotropic medications become downright dangerous if you drink alcohol while taking them. If you haven’t checked the PI sheet for your medication in a while, have a look. There might be a food-related instruction you’ve been forgetting. 3. Know thy eating habits. Do you start living on Skittles when you’re heading towards a manic episode, and eat nothing but dry toast and coffee when you’re getting depressed? Does your mood dip if you skip breakfast? Do you have a hard time sleeping if you eat too late at night? Being aware of how your eating habits correlate to your mood can be extremely helpful in heading off bipolar symptoms. If you’ve never given much thought to it before, try keeping a food journal for several weeks. Keep a record of when you ate, what you ate, and how you felt throughout the day. After a month or so of record-keeping, you might discover patterns you didn’t know were there. 4. Depression is not an excuse to binge on ice cream. While chowing down on junk food might distract you from depression for a few minutes, the resulting feelings of guilt and low self-esteem can make the depression worse (not to mention the sugar crash an hour later). When you’re depressed, the best way to eat is to sit down, take your time, and have healthy meals at regular intervals. Not only will this keep your blood sugar more stable throughout the day, but it can give you a sense of well-being and self-worth that you just don’t get from snarfling cookies right out of the box. Not that there’s anything wrong with eating a cookie. 5. Weight gain? Be kind to yourself. Many psychotropic drugs have the unfortunate side effect of weight gain, and that can be hard on your self-esteem. It’s common to feel angry, frustrated or embarrassed about your appearance, especially when friends and relatives comment on the change. But if you react to meds-related weight gain by trying to starve yourself, you’re only going to make it worse. Instead, be kind to yourself. If you want to lose weight, make a sensible plan with your doctor, and don’t punish yourself with draconian diets. Find a gentle way to love the body you have right now, even when its size fluctuates because of your medication. It’s much easier to keep bipolar under control when your life has a steady rhythm. We all know about the importance of going to sleep at a regular time, but how many of us pay attention to meal times? Eating at regular times keeps your body energized throughout the day and your blood sugar levels stable, which in turn can help you keep a stable mood. Keeping regular mealtimes is especially important if you’re experiencing depression or mania/hypomania, when the temptation to skip meals can make your symptoms worse. By making a few easy changes to the way you eat, you can help yourself keep a stable mood and healthy body. Eating right is an important part of the bipolar picture, and by paying attention to how we do it, we can be happier, healthier, and feel better about our bodies too.